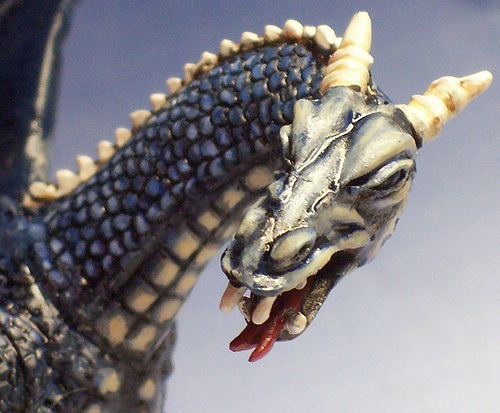 When satisfied with the painting, I use two part epoxy and pins to fasten the model to a base. Â I picked up this base at a craft store then stained and sealed it. 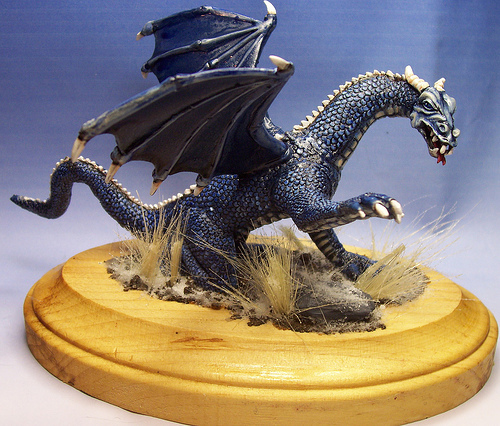 Â Bases can also be found online and in hobby shops in all shapes, sizes, and materials. 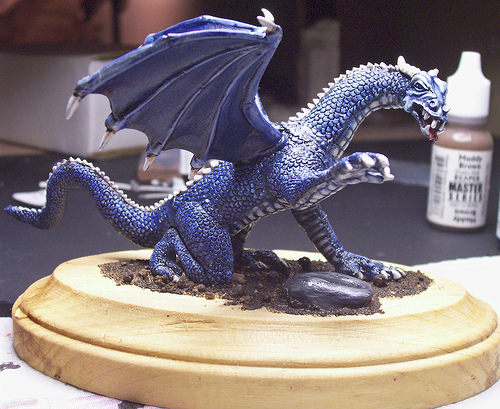 Many hobby shops and of course, the internet is a good source of a wide array of basing materials. Â Woodland Scenics makes groundwork from grasses of all lengths to snow and bushes. 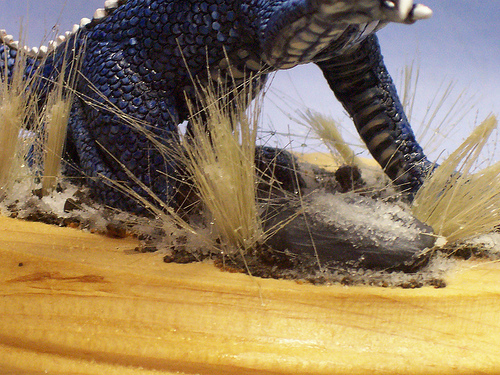 I used thin super glue again to carefully attach long grasses to the base. Snow was applied by putting super glue in large drops then submerging the whole base in snow until the glue sets. The longer the snow is allowed to set on the glue, the more fresh the snow will look. 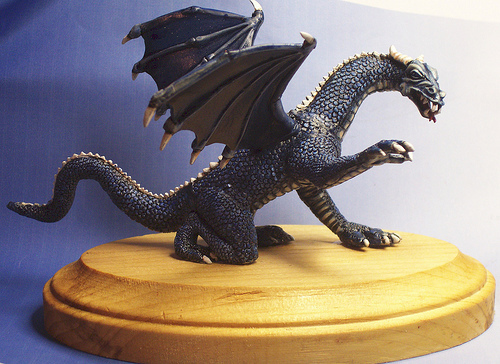 Â After all the adhesives and paints have dried, the entire model gets several thin layers of a matte finish clear coat. Â I use Dull Cote but there are many other brands to choose from.